With the rise in energy costs, more and more homeowners and businesses are looking for ways to reduce their energy use. Solar hot watersystems are the most cost effective form of renewable energy currently available. Solar hot water systems can save hundreds of dollars annually on energy use. Natural gas prices have increased more than three folds in the past eight years, a financial burden that only few of us can afford to shoulder. This burden can be significantly reduced by the installation of a solar hot water system. Solar hot water systems also increase the value of a home but do not affect property tax. Solar thermal systems operate independent of other energy systems and can prevent the release of up to three thousand pounds of greenhouse emissions per year. The use of a solar hot water system offsets the approximate equivalent CO2 production of a small car. Solar energy is a clean and plentiful energy resource that can be used to complement many of our energy needs. Solar energy can be utilized as a form of heat, such as solar water heating and as electricity, such as solar photovoltaic. Water heating is one of the most cost-effective uses of solar energy, providing hot water for showers, dishwashers and clothes washers. Every year, several thousands of new solar water heaters are installed worldwide. A solar water heater reduces the amount of fuel you need to heat water because it captures the sun’s renewable energy. Many solar water heaters use a small solar electric (photovoltaic) module to power the pump needed to circulate the heat transfer fluid through the collectors. 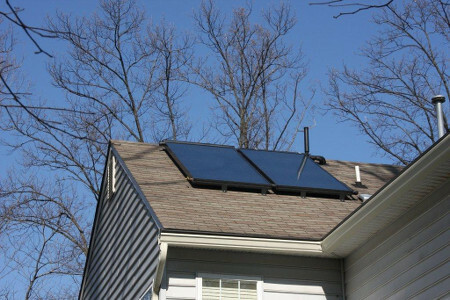 The use of such module allows the solar water heater to operate even during a powercut. Solar water heaters can also be used in other applications, for example, car washes, hotels and motels, restaurants, swimming pools, and laundry mats. It’s a free, non-polluting and renewable source of energy. Solar water systems have many benefits like providing reliable hot water in times of electricity shortage, lower electricity costs and increase awareness of a renewable energy resource. Solar water system is free, non-polluting and renewable. Solar water heaters function well all over the world, although the energy you can expect to save by switching to a solar water heater depends on several factors such as the size of the collectors and storage tank, appliance efficiency, amount of sunlight in your region and most importantly, the amount of water you use. A typical solar hot water system will reduce annual energy costs by forty to fifty percent. You can expect that a solar water heater will provide you with 1000 to 3500 kWh of energy per year, depending on your hot water usage and regional climate.